Hi! 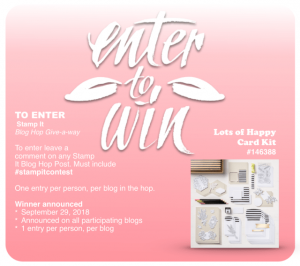 Welcome to the Team Stamp It Halloween Blog Hop! You are sure to find tons of inspiration for Halloween Fright! 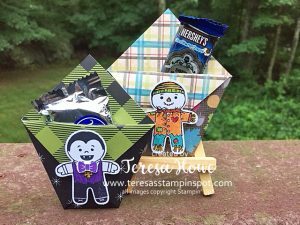 My project today is this adorable mini milk carton! Isn’t it adorable? 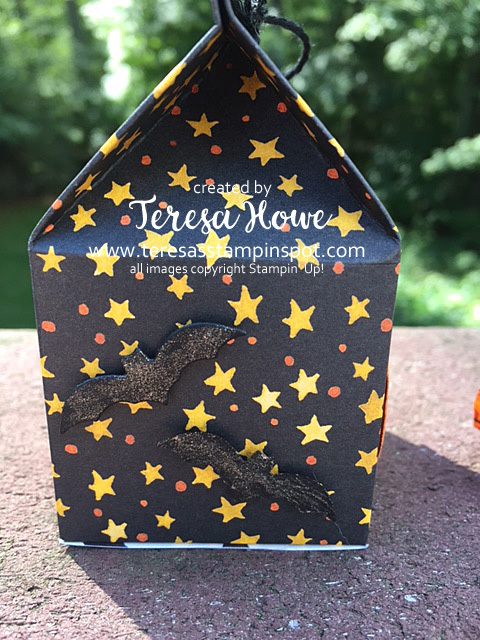 I love the Toil and Trouble Designer Series Paper – perfect for all your Halloween crafting! 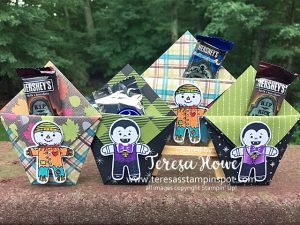 In this project, I’ve paired the paper with the Seasonal Chums set in the Annual Catalog – don’t you love when you can use new products with existing ones already in your collection? 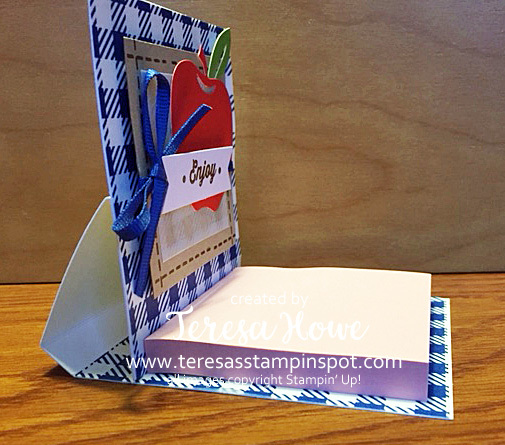 To make the Mini Milk Carton, you need a 5 1/2″ x 8 1/4″ piece of cardstock or Designer Series Paper. Score on the 8 1/4″ side at 2″, 4″, 6″ and 8″. Score on the 5 1/2″ side at 1 1/2″, 3 1/2″ and 5″. Along the 5″ score line, make a tick mark at 1″ and 5″ along the 8 1/4″ side. 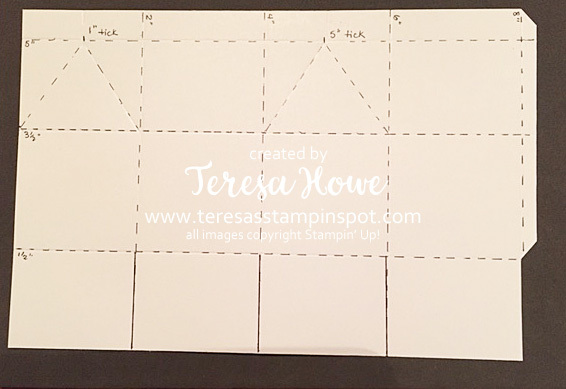 Use a ruler and a stylus to score diagonal lines between the 5″ and 3 1/2″ score lines from the 1″ tick mark to the lower left corner at the 3 1/2″ score line and the lower right corner at the 3 1/2″ score line. Create angle cuts on the top and bottom of the remaining part of the tab. Cut up from the bottom to the 1 1/2″ score line at 2″, 4″ and 6″. Place Tear & Tape along the tab and close the box. Use Tear & Tape to seal the bottom. Decorate as desired and use Baker’s Twine, Linen Thread or a Galvanized Clip to close the top of the box. For the decorations, I used the pumpkins from Seasonal Chums. It is stamped in Jet Black StaZon on Pumpkin Pie cardstock. The stem is colored in Crumb Cake, the leaves in Old Olive and the face in Basic Black. 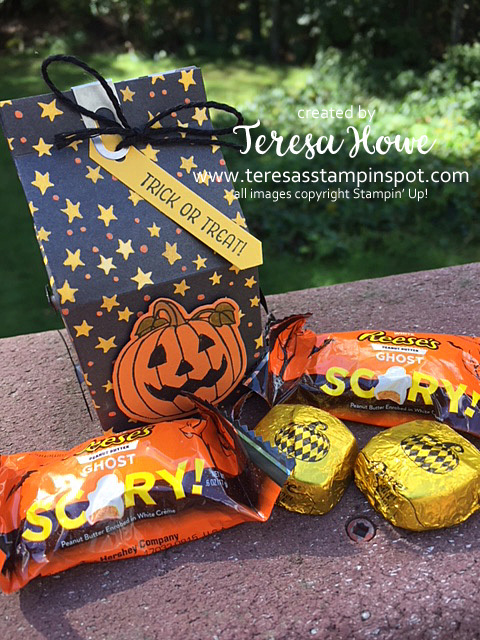 I used one of the new Galvanized Clips to keep the top closed after filling with Halloween Treats such as Dove Milk Chocolate Caramels and Reese’s Peanutbutter Ghosts. 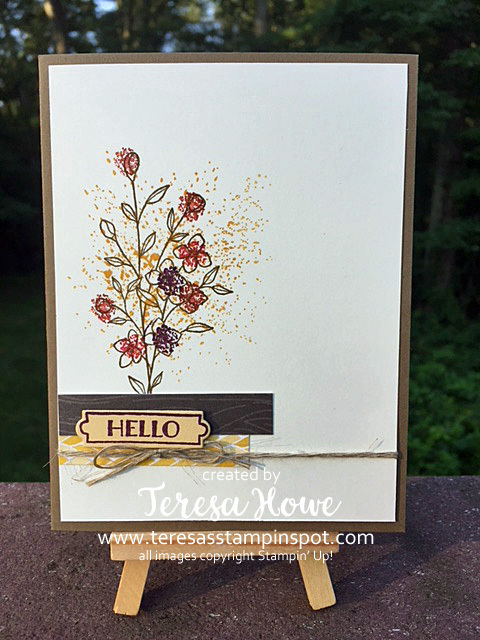 The sentiment is stamped in Basic Black ink on Crushed Curry cardstock and punched with the Classic Label punch. Black solid Baker’s Twine ties the tag to the clip. I just love how this turned out and will be making a few more to give out to family, friends and co-workers. 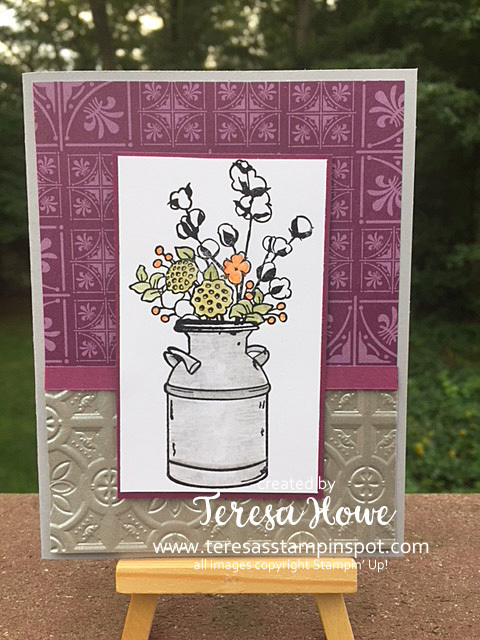 Fun with the Cauldron Bubble bundle and Toil & Trouble Designer Series Paper! 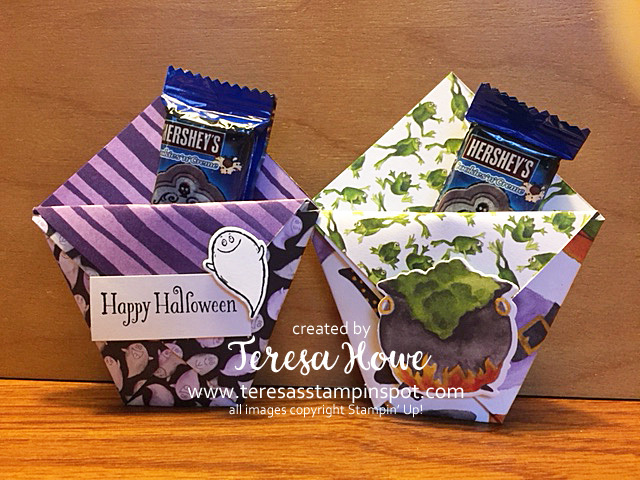 This past week’s Tuesday with Teresa Facebook Live featured the Cauldron Bubble bundle and coordinating Toil & Trouble Designer Series Paper to make these fun Diaper Fold treat pouches! To make the holder, you need a 6″ x 6″ piece of Designer Series Paper! And then you can embellish any way you choose! 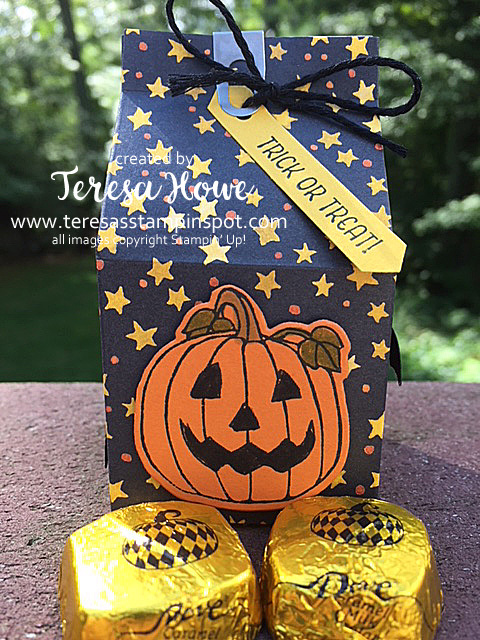 I used the coordinating Cauldron Bubble Stamp set and dies to make these. Did you know, the dies cut some of the images perfectly from the Designer Series Paper as well as the stamped images? How cool is that! You’ll find the Cauldron Bubble bundle and Toil & Trouble Designer Series Paper in my on-line store here. Don’t forget you can now redeem your Bonus Day Coupons! 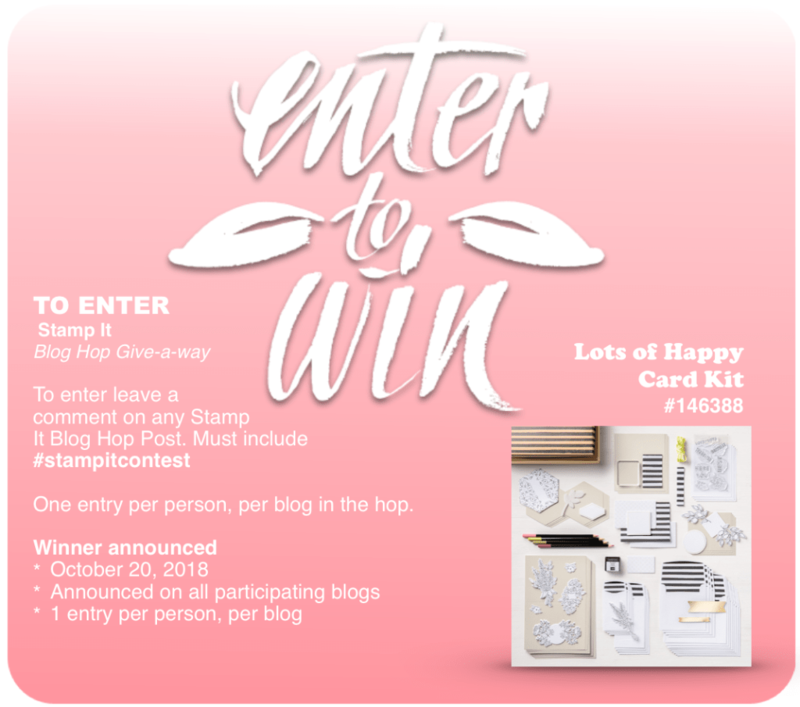 Just make sure to enter them before you check out. 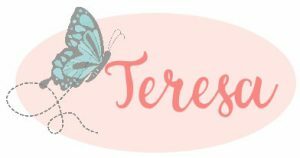 Author TeresaPosted on September 4, 2018 Categories CardsTags 2018-19 Annual Catalog, Cards, Fall2 Comments on I’m in Love! Hi! 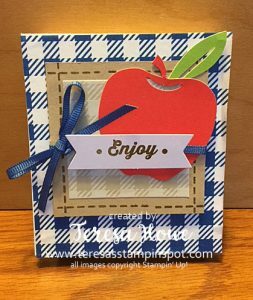 Today I am happy to be back hopping with my fellow Team Stamp It demonstrators!! You will find lots of great ideas to help you get ready for Fall! 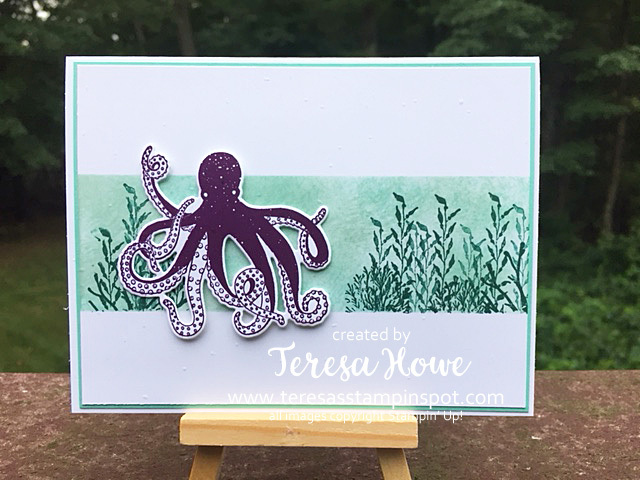 Today’s card is brought to you by the Touches of Texture stamp set! This set is so fun to play with! I showcased another card with this set in this post. 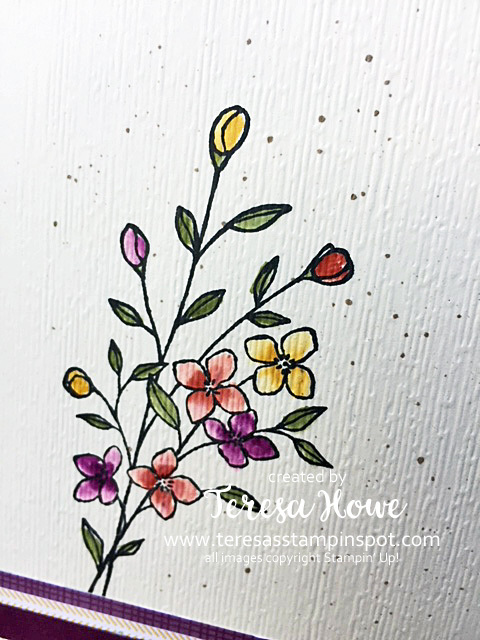 I stamped the flowers in Soft Suede ink and then used the large splatter stamp inked in Crushed Curry over that. I then used the smallest splatter to add color to the flowers in Cajun Craze, Real Red, and Blackberry Bliss. 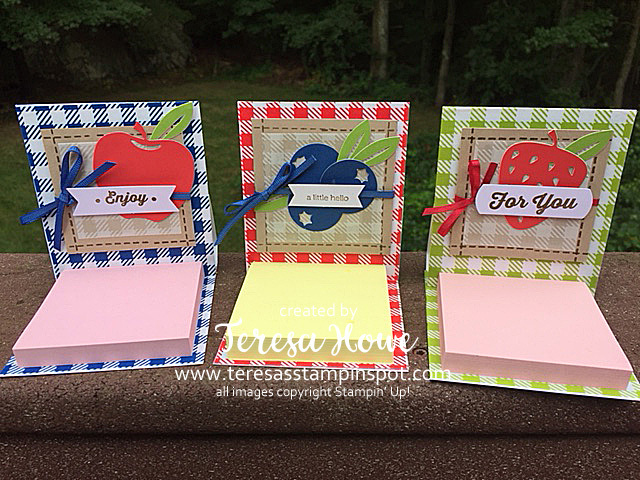 The Designer Series Paper is from the upcoming Holiday Catalog that debuts on Sept 5. It is called Country Lane and will be a must have for your Fall projects. The Base of this card is Soft Suede measuring 5 1/2″ x 8 1/2″, scored at 4 1/4″ and folded in half. The Very Vanilla layer measures 4 x 5 1/4″. 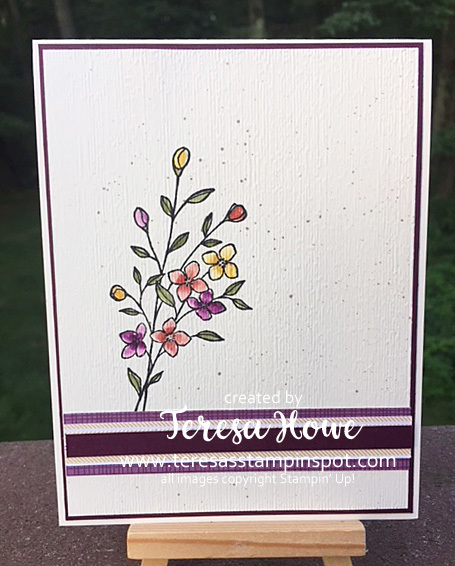 The sentiment is from the Banners for You Set stamped in Blackberry Bliss ink on Crushed Curry cardstock and die cut. The final touch to the card is the linen thread which is wrapped around twice before being tied into a bow. 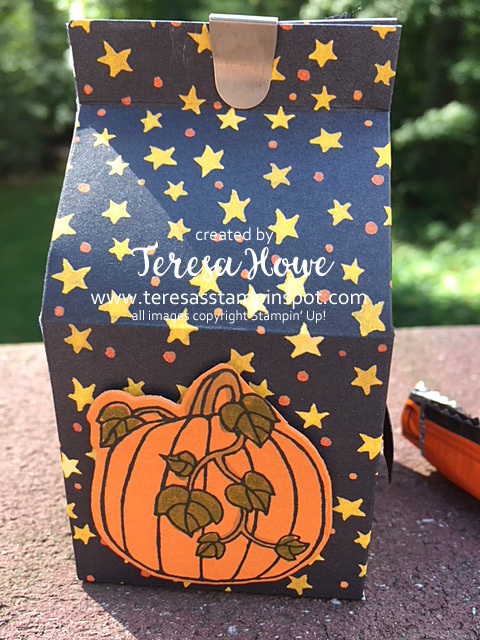 Then hop on over to the rest of the paricipants to see what Fall creations they have for you!